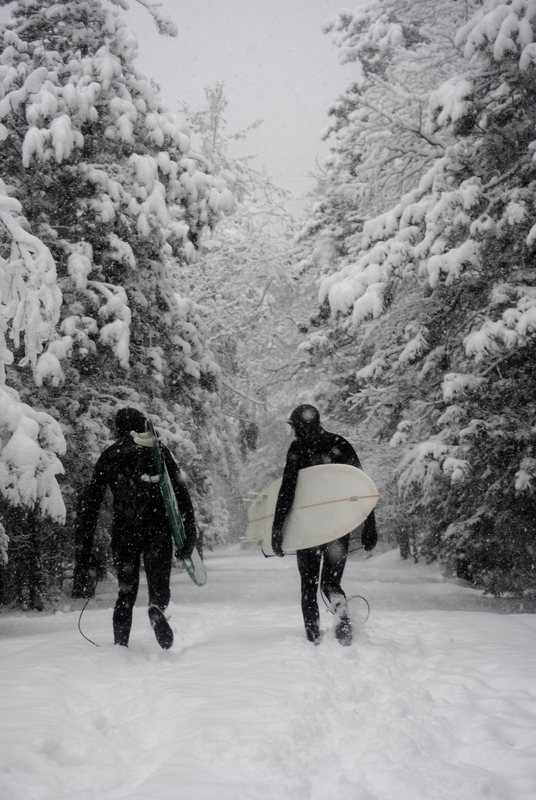 First of all you might be asking why we have surfing located in our winter activities section. The reason is that the best surfing is found during the months of October – March. 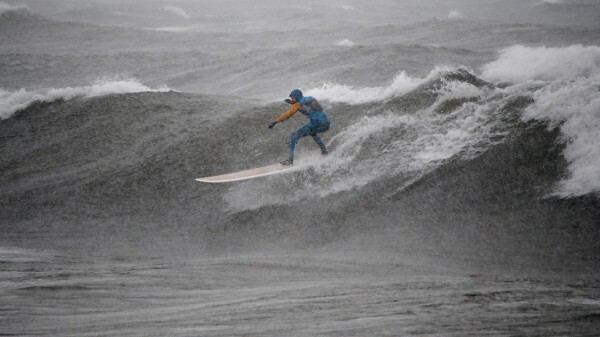 The more volatile weather in these months brings the wave-producing low-pressure systems required to generate the required conditions on Lake Superior. 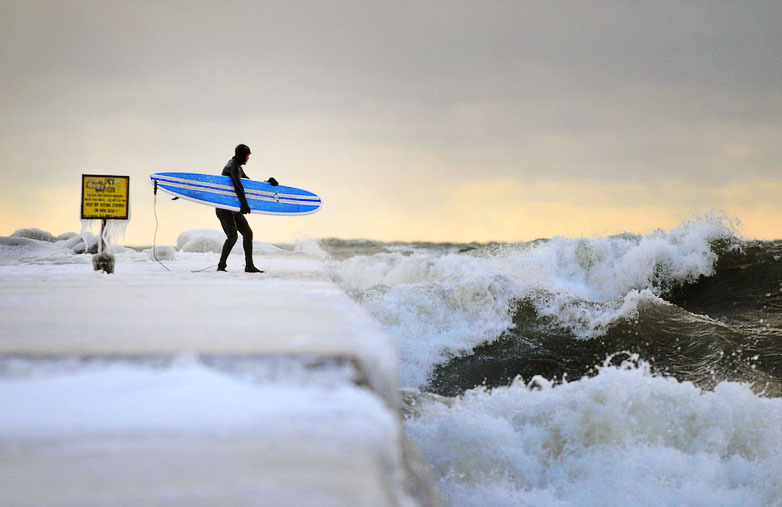 Between January and March, Superior has the most frequent and cleanest surf, provided the lake is not frozen. Summer and late spring/early fall have less frequent surf and it tends on the sloppy side. 30 ft waves are not unheard of on Lake Superior, but there is such a thing as “Too Big” and these definitely fall into that category. Surfable waves can reach 10-12 ft in height, but are typically in the 6-8ft range. Waves on the lake are different than ocean waves. The period is much shorter and the waves are typically accompanied by a large amount of wind. 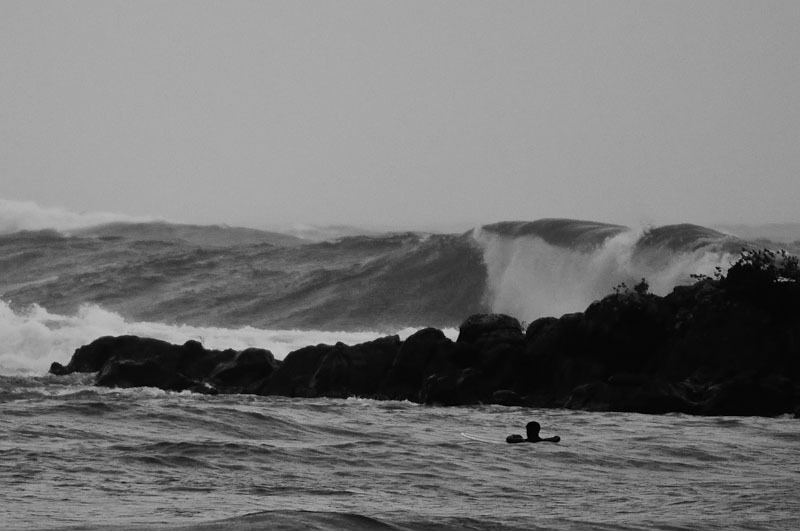 Don’t let this scare you… there is some awesome surfing to be had in these parts. This area is located along M28 just east of Harvey Michigan. On your right hand side there will be the Gitchi Gumi RV Park and directly across from it is an MDOT Scenic turnout. Park here and head on down to the beach! During days with north, northeast and occasionally west winds the surf will be up on this sandbar break. On bigger days it is harder to get out to the lineup but you can still access the closet break to the beach. This break is located just to the left of one of the most recognizable landmarks in Marquette, the red Light House. Along Lakeshore boulevard the break runs from the lighthouse to Picnic Rocks. The cleaner lines run next to the rocks in front of the lifeguard station in McCarty’s Cove. Please note there are strong rip currents between Picnic Rocks and shore. These rip currents have taken many lives over the years- please use caution. This break is by far the most popular surfing spot in Marquette. If the surfs up- this is where you will find all of thelocals. The Zoo, named after an old zoo that was once located on Presque Isle. Presque Isle is a city park minutes from downtown Marquette and Northern Michigan University. Upon entering the park turn left and drive until you see Middle Bay, and park at the Lake Superior Watershed house. When standing on the beach and looking out into Middle Bay, you will want to surf the area along the rocky shore. For the best rides, surf the rocky shore to 100 feet parallel with the shore. After each ride simply walk the shore back to get into position again. This is the cleanest break in around Marquette. The far south end of McLain State Park is probably the best and most popular spot in the Keweenaw. 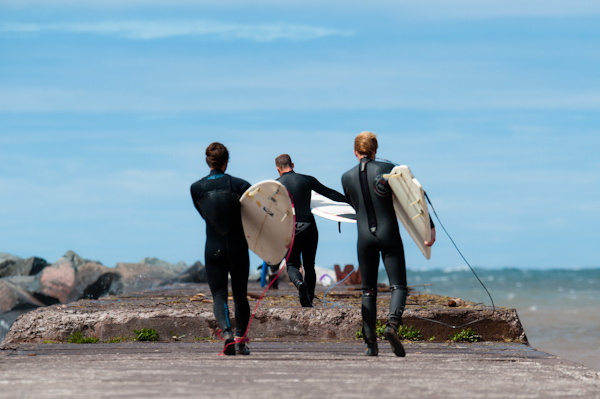 The breakwall helps clean up some of the waves, provides an alternative to paddling out through breaking waves and wind, and creates a small area protected from the weather. This area is best when we get a big west wind. 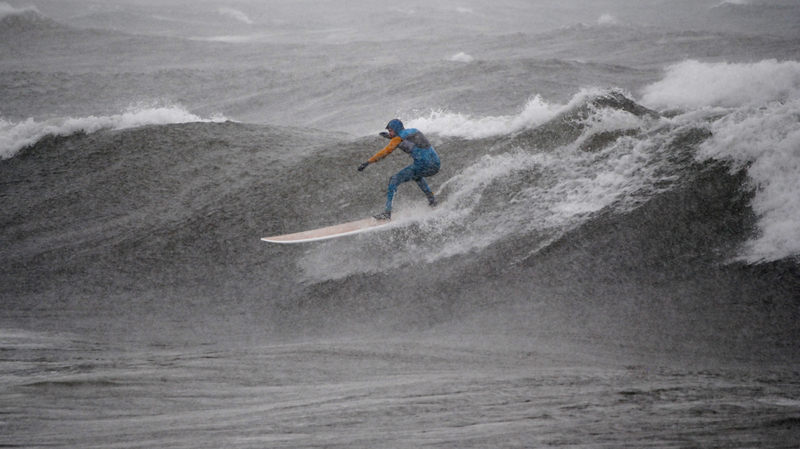 GSB is located on the west side of the Keweenaw Peninsula and is a huge sandy bay that can get good waves with a west or north west wind. Most people enter the surf on the north side of the bay and use the current to help make their way out into the surf. This spot can be pretty messy and inconsistent… it depends on the wind.